During Mass, as it started I saw this most magnificent vision. 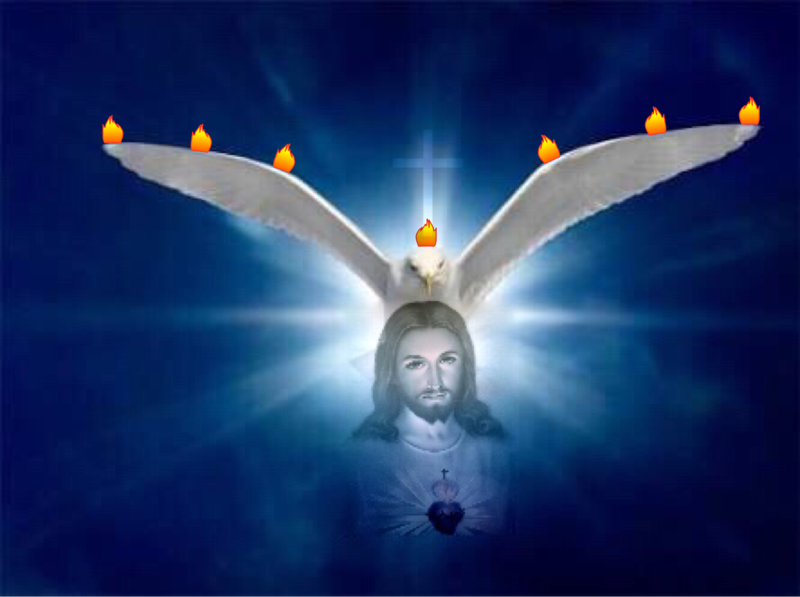 The Holy Spirit Appeared as the Dove all in splendid white, with outstretched Wings that were very large – as big as the Church. 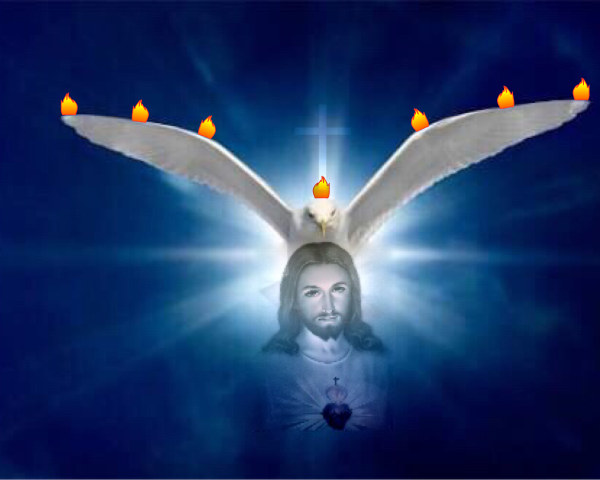 Seven Fires appeared on His Wings and Head. On His Chest – very large – was Jesus’ Face and Shoulders reaching towards the Sacred Heart. There was also a White Cross above the Holy Spirit. LITTLE PEBBLE: Then the Holy Dove picked up the Earth and embraced the world with His Wings and kissed the world and the Love that came from God just overwhelmed me. I wanted to cry so much and once again dedicated my life to God. Then the Holy Spirit spoke again and said that He was not offended by what I was thinking and saying, because men cannot understand how God works, as he is only man; God looks at the heart of a man and his intentions. He told me to continue with faith and hope as God has permitted things, even though not directly His Will, but His indirect Will. God said how much He Loved me and then disappeared. LITTLE PEBBLE: This Love penetrated my heart and I could feel God’s Love flood the Church and the whole world. I was crying so much interiorly. Jesus told me other private things. God told me to have this Image painted and given to the world. ← Who is the Angel of Divine Love?